I was very fortunate to attend the launch of the Illamasqua Theatre of the Nameless collection last night. As always with Illamasqua, the collection is just stunning! The collection is inspired by 1920s Berlin and the underworld subcultures that filled its nightlife - exotic dancers, actors and performers, nudists and Boot Girls. The tones are dark and sophisticated in a modern interpretation of the era. "Theatre of the Nameless is a heady mixture of opulent hues, decadent pigments and fearless application. A bruised and burnished pallet that gives a sensual slip that bleeds colour into colour, worn through and kissed off" - Alex Box, Illamasqua Creative Director." Two new Intense Lipglosses in Facade (grey pink) and Violate (dark green shimmer) as well as two Lipsticks in Verboten (deep claret) and Kontrol (blue violet). 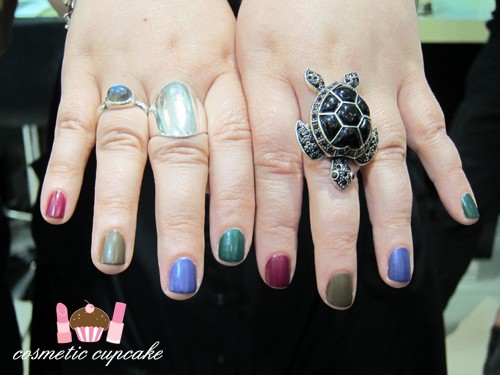 Four new nail polishes inspired by the Wittenberg Platz's Boot Girls colour-coded specialities - Kink (bottle green), Vice (deep cerise), Faux Pas (blue violet) and Taint (stone brown). These have an awesome new waxy "rubber look" finish! There are two new Cream Pigments in Androgen and Depravity and three new Pure Pigments in Zeitgeist, Beguile and Berber. Also two beautiful Shimmer blushers in Ambition (which I purchased!) and Morale which unfortunately won't be released in Aus is available now! Lastly, a new Masquara in Raven (midnight black) and Precision Ink in Havoc (aubergine) and two sets of new false eyelashes named Grandeur and Weimar. I'm not into dark hues all that much so I won't be getting the lip products but I am really loving the cream pigments, shimmer blushers, polishes and pure pigments in this collection!! 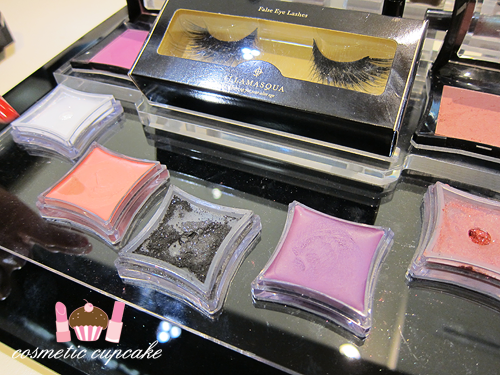 Such pretty colours and so versatile too as with other Illamasqua products. The Theatre of the Nameless collection is available from September 8th 2011 for Aussie ladies and available from Myer. 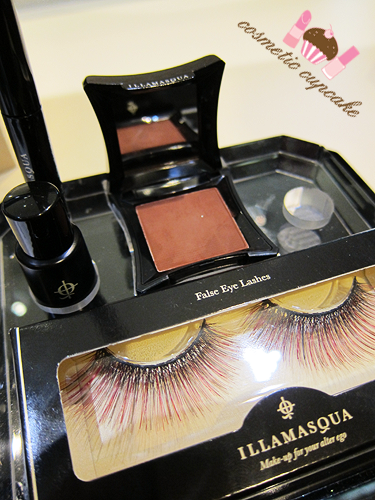 * I attended the launch as a guest of Illamasqua. Oh my GOD those false lashes are AMAZING!!!! I've never used Illamasqua and should really give it a go. The colours look beautiful. The nail varnishes are so bold and dramatic! I love the rubber-look finnish as it's just so unique! but I do like the rubber finish of the polishes, how very interesting. you need to swatch them all LOL! Definitely give them a go hun!! Their Skin Base foundation is amazing and I love their polishes. @Julie: I'm thinking of getting Vice but I don't need any more polishes LOL. @Rie: I'm glad you like it too Rie!! You should definitely splurge on some polishes! Kink is great and I'm loving Vice and Faux Pas too.